I know, I know. Calm down. Newsflash. It is. But good things come to those who wait. And that’s why you’re just going to have to cool it (ha, get it? it’s an ice cream blog!) and be OK with the fact that this recipe comes in two parts because, well, it’s complicated. Last week I posted a challenge on the blog asking for unique recipes. I was enticed by a suggestion from one of my absolute favorite friends to make mint milano ice cream. 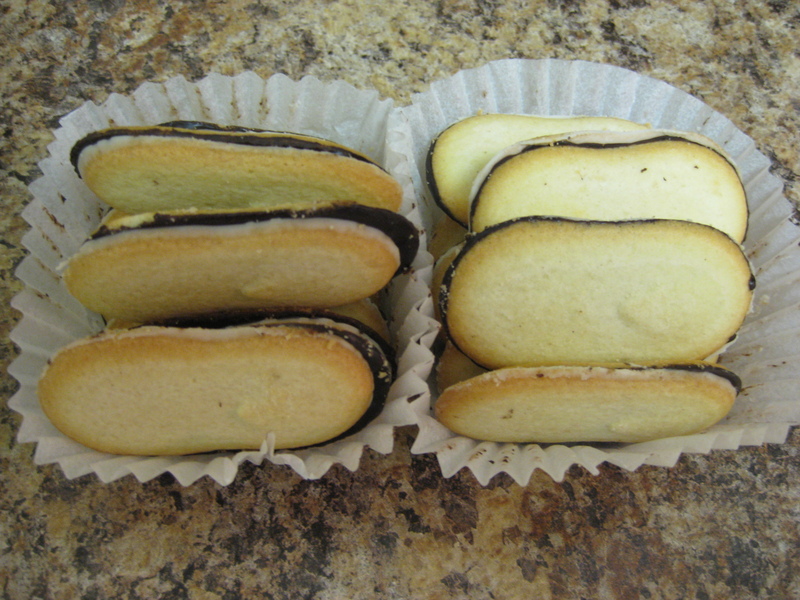 Mint oreo has been done, as have mint peppermint patty and thin mint, but we’ve never seen mint milano. So, I rose to the challenge and began researching. I found two delicious recipes for mint chip – one from the famed designer Isaac Mizrahi a la Epicurious and one by the acclaimed David Lebovitz. I decided to go with David’s recipe, but used a lot of the helpful techniques in Isaac’s so it’s really a marriage of both. 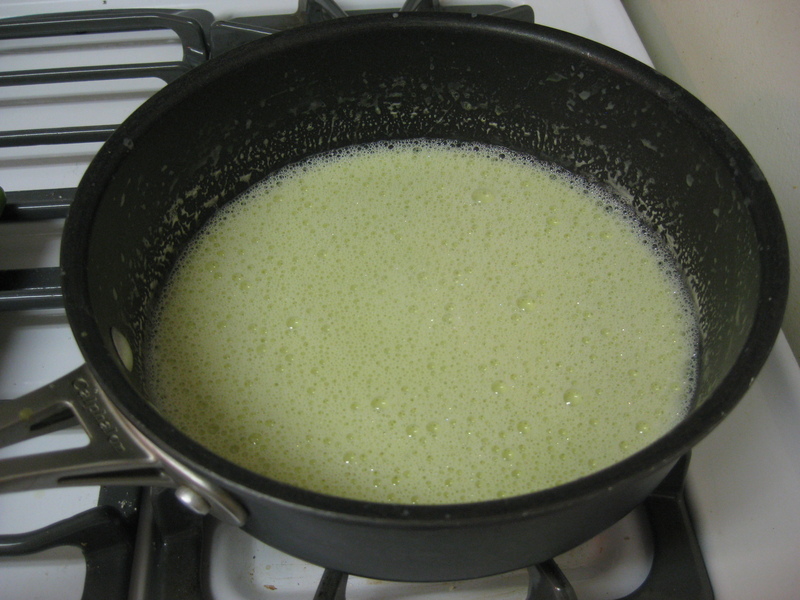 In a medium saucepan, warm the milk, sugar, 1 cup half-and-half, and mint. 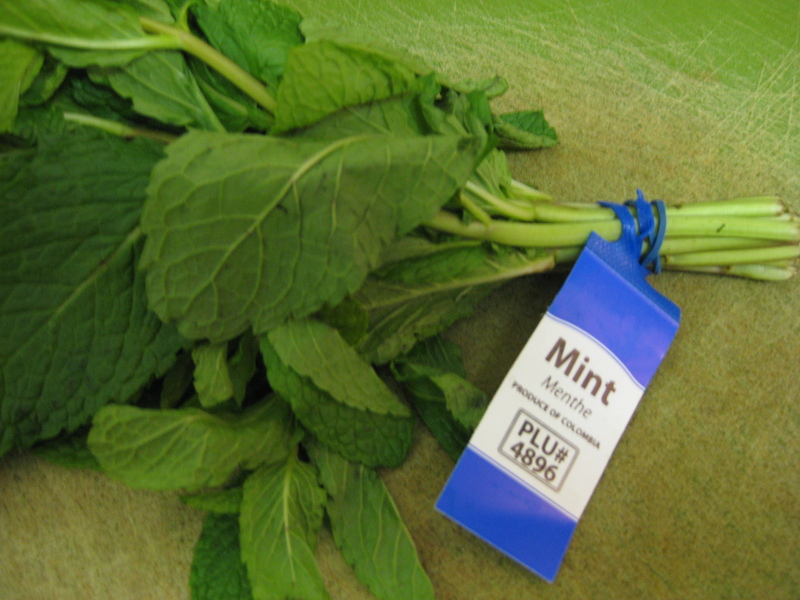 Once the mixture is hot and steaming, remove from heat, cover, and let stand for an hour to infuse the mint flavor. Remove the mint with a strainer, then press down with a spatula firmly to extract as much mint flavor and color as possible. (You can also use well-washed hands to do it as well, making sure the mixture isn’t too hot to safely handle.) Once the flavor is squeezed out, discard the mint. Pour the remaining half-and-half into a large bowl and set the strainer over the top. Rewarm the infused milk. 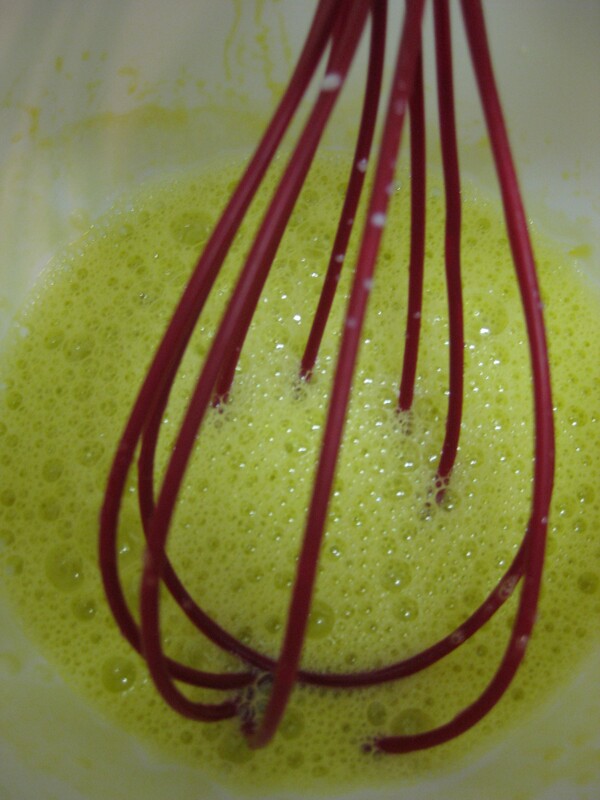 In a separate bowl, whisk together the egg yolks, then slowly pour some of the warm mint mixture into the yolks, whisking constantly, then scrape the warmed yolks back into the saucepan. Cook the custard, stirring constantly with a heatproof spatula, until the mixture thickens and coats the spatula, which is approximately 5-6 minutes. If using an instant read thermometer, it should read around 170ºF (77ºC). If you don’t have a thermometer (like me) I used a smart trick that our dear friend Isaac Mizrahi notes in his recipe: dip a spoon into the custard mixture so that it coats the back of the spoon. You will know the custard is ready when you rub your finger against the back of the spoon and it leaves a clear line (with the custard still remaining on either side of that line on the back of the spoon). 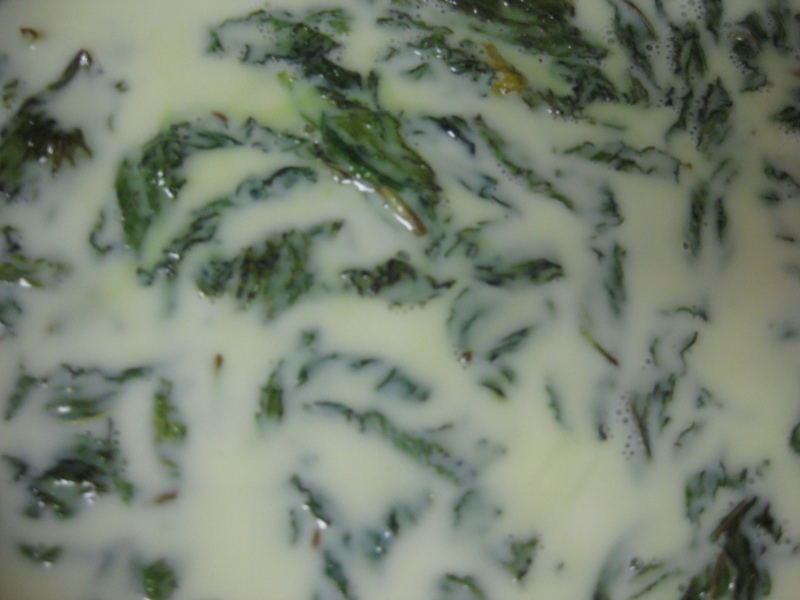 Immediately strain the mixture into the cream, then stir the mixture over an ice bath until cool. Refrigerate the mixture thoroughly, preferably overnight, then freeze it in your ice cream maker according to the manufacturer’s instructions. Place the storage container in the freezer. While the mixture is churning in the machine, melt the chocolate in a small bowl in a microwave oven on low power, stirring until smooth. When the ice cream in the machine is ready (approximately 25 minutes), scribble some of the chocolate into the bottom of the container, then add a layer of the just-churned ice cream, and some crumbled Mint Milanos. 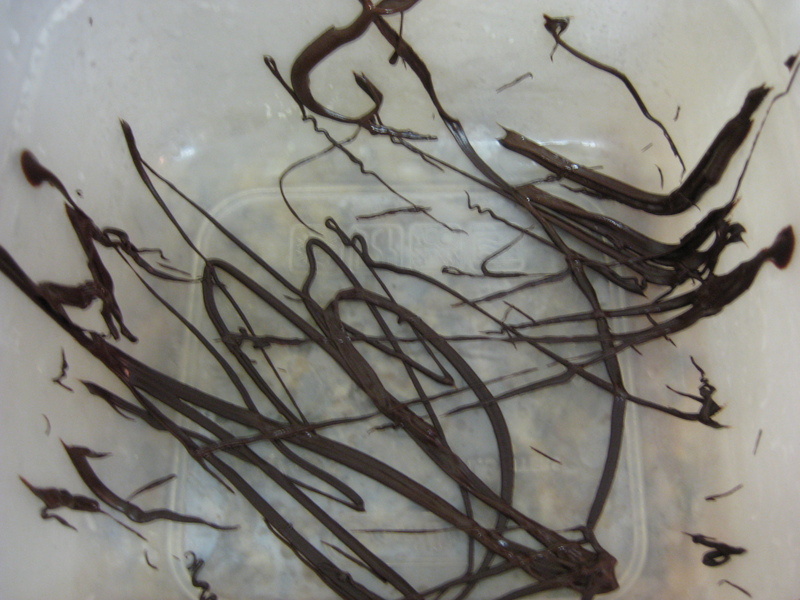 Scribble melted chocolate over the top of the ice cream, then quickly stir it in, breaking up the chocolate into irregular pieces. Continue layering the ice cream, scribbling more chocolate and Mint Milanos and stirring as you go. ← Ben and Jerry’s Free Cone Day!